38 Hauntingly Abandoned Places To Chill You To The Bone. Here’s a collection of the most haunting abandoned places in the world. It’s like a glimpse into another world without humans. #1 Pripyat, Ukraine was a city with a population of 50,000. It was totally abandoned after the Chernobyl disaster in 1986. Because of the radiation, it has been untouched ever since and will be for thousands of years. #2. 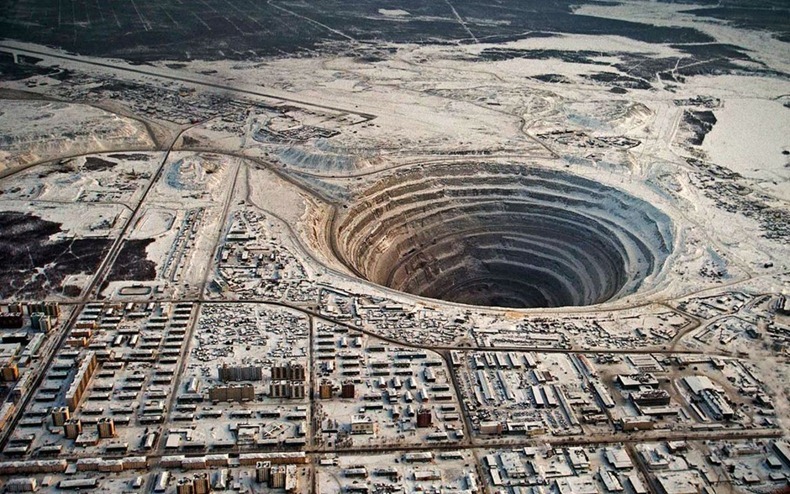 Mirny Diamond Mine in Eastern Siberia, Russia is the world’s largest man-made hole. It was constructed by Stalin but abandoned when it became too difficult to continue digging. #3. This farmhouse in Seneca Lake, New York is also a graveyard for antique cars.